As we watch the once dominant mobile OS saunter toward the sunset and enter “maintenance mode,” some applications are receiving some updates. WhatsApp Messenger has made itself available across all the relevant platforms and there is now an updated version available for Symbian. The reason why this is noteworthy is because for some of you that use WhatsApp on Symbian, you may have noticed sporadic performance, or no performance at all the past few days. Unfortunately, the old Symbian version of the app is not able to tell you that it is no longer working, and is not able to auto-update itself for one reason or another. 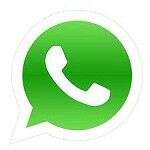 This new version appears to be available for download directly from WhatsApp’s website. Upon looking in the Nokia Store, it does not look like the download there has been updated based on the file size, and that may be why the app itself is not finding an update. So, if you have been experiencing quiet times with WhatsApp on your Symbian device, take your phone’s browser over to WhatsApp’s website and see if an update does the trick. The guys at All About Symbian made this discovery while trouble-shooting other issues. Everything should be fully functional. Good to see Nokia still taking care of old symbian. I was surprised to get an update for the music player app on my old nokia phone a few weeks back! A little something special for WhatsApp users on Android-http://forum.xda-developers.com/showthread.php?t=1624514 I recommend the Holo version. Its great once you figure how to customize it. I hope my hp pre 3 gets some attention from WhatsApp as well. We desperately need it in the catalog! Symbian is way better with belle fp2 only it needed was support and development for apps n OS. I use N8 and c6-01 both are very gd. Now i will move to either WP8 or android. Well well, I luv nokia symbian,windows phone n their support. forever i'll love symbian!! and im so thankful that someone will give me 808 pureview!!! now i'll save my money for N9, and BlackBerry 10 next year!!! i still hope that nokia will let symbian live and replace s40!!! i mean here in my place there's a cheap dual core (qualcomm snapdragon s4 cortex a5) processor with adreno GPU and 512 of RAM below $100 or php3999 running vanilla android! and as far as i know symbian dont need dual core and latest GPU and gigabytes of RAM to run fluidly! a great example is N8 and 701! nokia belle is the best thing that ever happen to N8 and belle refresh just give it more juice! 701 with belle fp2 is just awesome and amazing at the same time! they are both running single core (outdated) 1ghz processor(701) and 800mhz(N8)! and there's only like 256RAM on N8! and it dont need latest or the likes of 720p/1080p screen resolution... so thats why it is really suited for low end! so why not choose symbian and its ecosystem (100,000 of symbian apps + can run java apps vs 25,000 s**tty java apps of s40, cant run symbian apps+ no 3D apps + no skype[skype is i think cancelled the support to symbian coz nokia decided to kill it and so why will skype wan to continue that is dying?]) as the OS for low end? at least it can be compare to low end android! i like the interface of s40 (N9's swipe is beauty) but gosh! that drives me crazy! i just want to check the text messages i receive, but i cant coz no multitasking! i want to check the app store and switch and use another app, i cant coz no multitasking! this is really annoying! not a smartphone! what's the point of 1ghz processor? POINTLESS!! SO NOKIA PLEASE LISTEN! SYMBIAN WILL ALWAYS BE LOVE BY LOYAL AND TRUE NOKIA FANS!! DONT KILL THE REAL NOKIA! LONG LIVE SYMBIAN!